Turkey has sent convoys of troops to the province, despite its defense minister having said a military operation would drag the enclave toward disaster. Turkey has sent convoys of troops to reinforce its presence in Syria's province of Idlib, the only remaining terrorist stronghold in the country, according to a report by Haaretz. The reinforcements come despite Turkish Defense Minister Hulusi Akar's recent warnings against a military solution. Akar said during a meeting with foreign ambassadors Wednesday that a military operation would drag the region toward a humanitarian catastrophe, Anadolu News agency reported. "We are working with Russia, Iran and other allies to bring peace and stability and to stop a humanitarian tragedy," Akar said, according to Anadolu. Haaretz cited activists of the Britain-based Syrian Observatory for Human Rights, who reported earlier this week that a convoy of Turkish forces entered the province from the Kfar Lusin crossing in northern Idlib and then moved to some of the 12 Turkish observation points scattered throughout the province border. Another monitoring group, the Central Station for Turkish Intervention, shot a video of armored vehicles and tanks driving by an Idlib road. Both groups claimed the convoy was headed to two different observation points. Ankara has not yet commented on the reports. — Mete Sohtaoğlu (@metesohtaoglu) 13 сентября 2018 г. 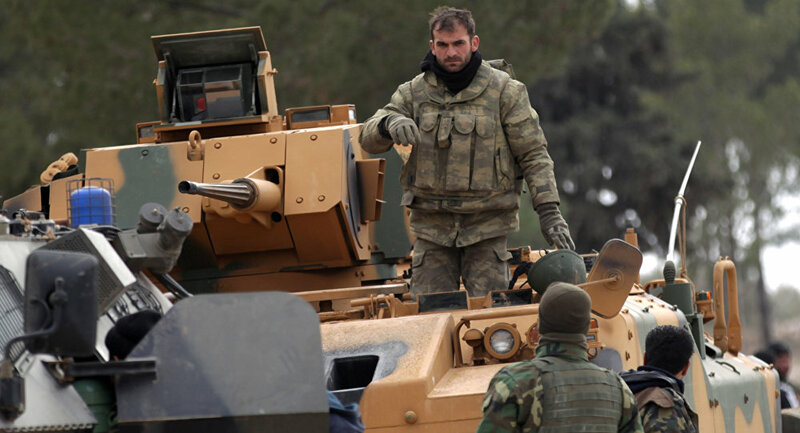 ​The Turkish military has deployed 12 observation points that ring Idlib as a part of a de-escalation agreement reached with Russia and Iran last year, which aimed to freeze the lines of conflict, effectively making Ankara the protector of the province, Haaretz reports. — Ali Özkök — علي أزكوك (@Ozkok_) 13 сентября 2018 г. 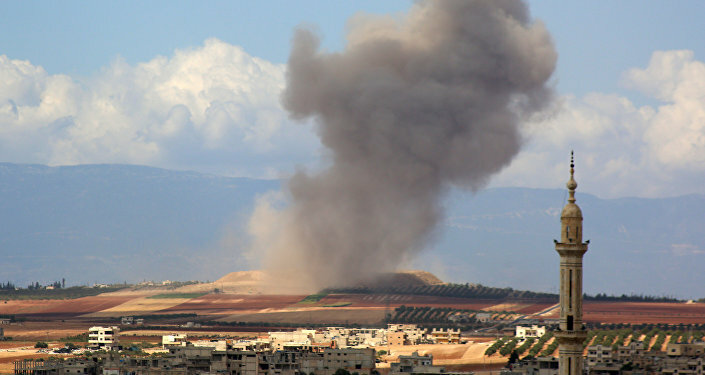 ​In recent weeks, the Syrian government has amassed forces to the south of Idlib and recently launched a massive bombing campaign against terrorist positions. However, the bombing has died down in the last 24 hours, which some view as a sign of an upcoming ground operation. On September 11, Turkey's President Recep Tayyip Erdogan published an article in the Wall Street Journal, in which he wrote that "the world would bear responsibility" for not acting to stop the Idlib offensive and the humanitarian catastrophe that is supposed to inevitably follow the military operation. "All members of the international community must understand their responsibilities as the assault on Idlib looms. The consequences of inaction are immense," Erdogan said. The United States, in a somewhat similar fashion, issued a warning to Russia Wednesday that Moscow would "bear responsibility" for the "humanitarian crisis" that would occur if Syrian forces attacked the terrorist enclave. In August, Turkey's foreign minister, Mevlut Cavusoglu, also claimed that a military operation in Idlib would be a "disaster, not just for the Idlib region, but a disaster in terms of Syria's future," during a meeting with his Russian counterpart, Sergey Lavrov.